One of the many simple pleasure I get out of baking is when I have a recipe in mind and it turns out as a KEEPER! My sweet tooth was kicking in last night and I had no cookies in the house! I don’t know if it is more shocking I had no cookies or just the plain fact that my sweet tooth was paying me a visit…again! Actually, I don’t think my sweet tooth ever leaves me. I’m not too sure if I’m glad that my faithful companion stays so faithful! After debating with myself if I wanted cookies, I decided I wanted some sort of cake. Not a cake with caramel, coconut or nuts. Those three ingredients seem to be my theme lately. But, I wanted something fruity, citrusy and with a frosting or a glaze. So, after searching through a lot of recipes I decided to go with a pound cake. 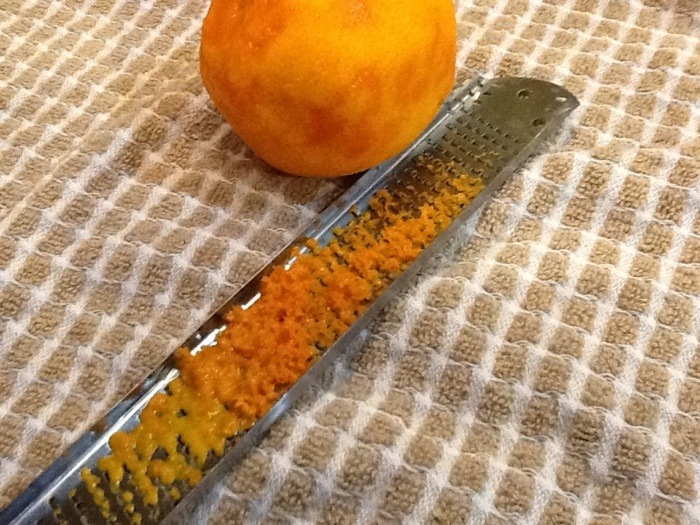 And, I wanted to use the almond paste that has been sitting in my pantry begging to be used. 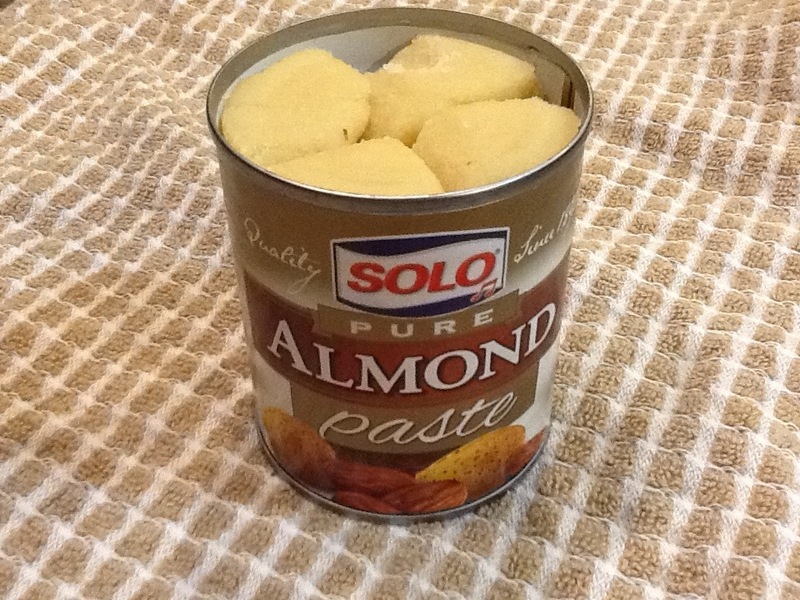 I love the flavor of almond! Yes, everyone pairs cherries and almond together but, this time I wanted to use raspberries and orange zest and it turned out better then I imagined it would! 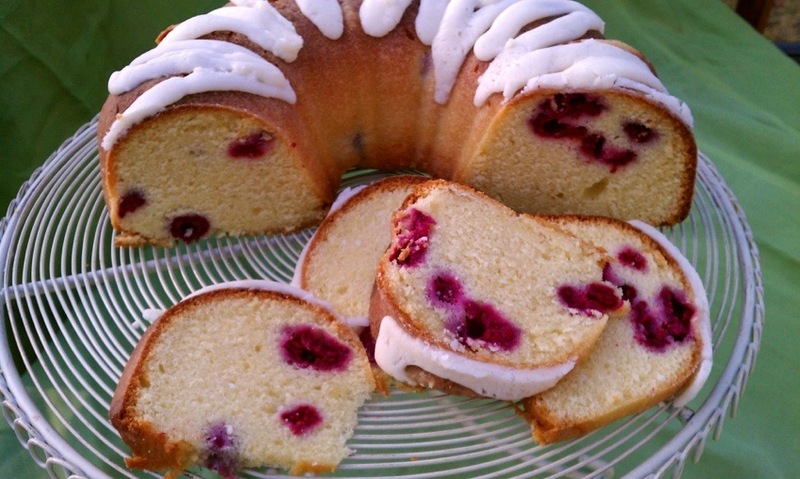 This pound cake turned out beautiful, and more importantly the flavor combo of the clementine zest paired with raspberries is so refreshing that it will leave you begging for another piece! The outer edge is slightly chewy from the almond paste while the center is so buttery and moist. This is a must try! 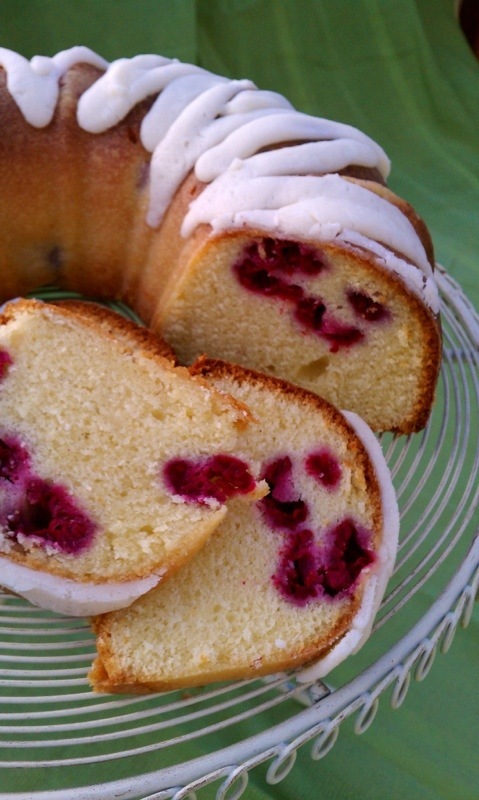 The biggest secret to having a successful pound cake is, DON’T OVER MIX! 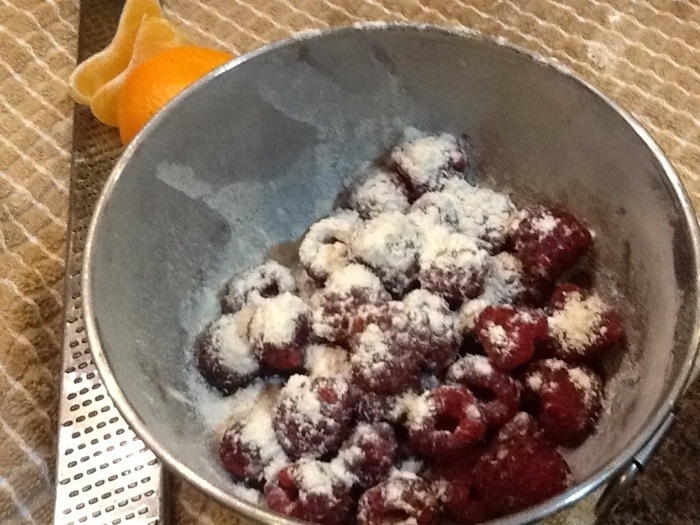 Once you have all the remaining ingredients; remove the bowl from the mixer and add the floured raspberries. 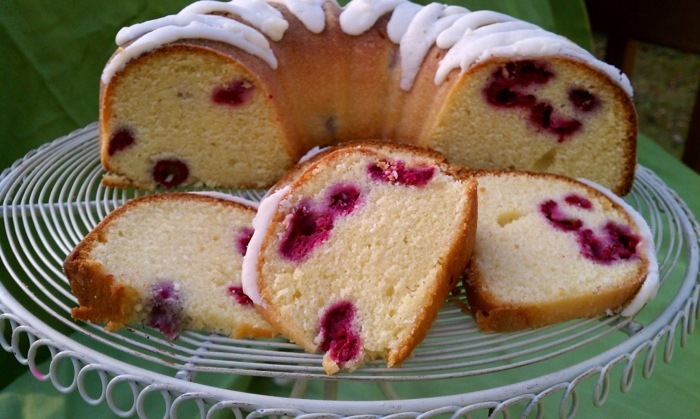 Gently toss the raspberries in a teaspoon of flour before adding to the batter. Doing this will prevent the berries from sinking to the bottom and “bleeding” into the batter. Make sure you grease and flour the bundt pan very well, so you have a clean release. At this point you can either dust the top with powdered sugar or put a light frosting on. I selected the frosting (shocking) I used some almond flavored buttercream I had leftover from cookies. Preheat oven to 325 degrees. Grease and flour either a loaf pan or a 10 cup bundt pan. 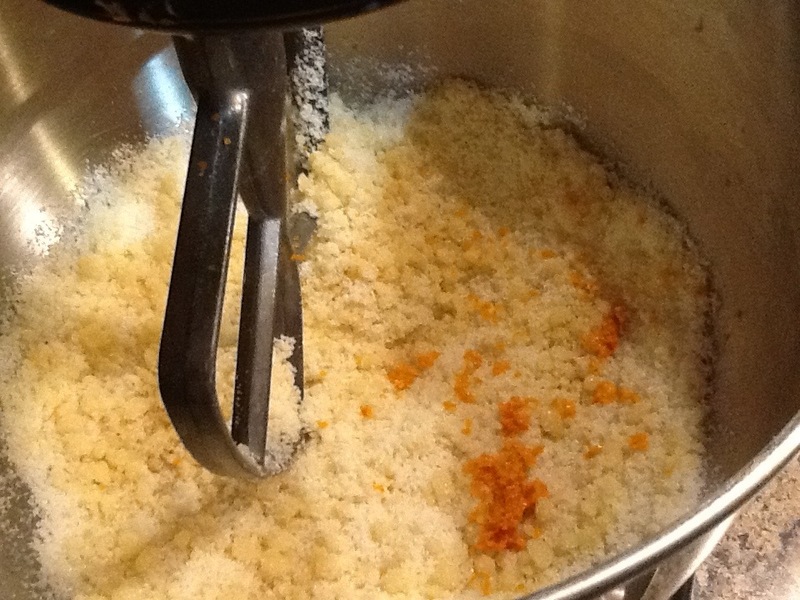 Using a electric mixer set on medium speed add almond paste, sugar, zest and butter until well mixed. Add eggs one at a time, beating well between each addition; add vanilla. Beat on high until light and fluffy. Sift flour with baking powder and add to batter alternately with milk. Beat on low until just combined and smooth. 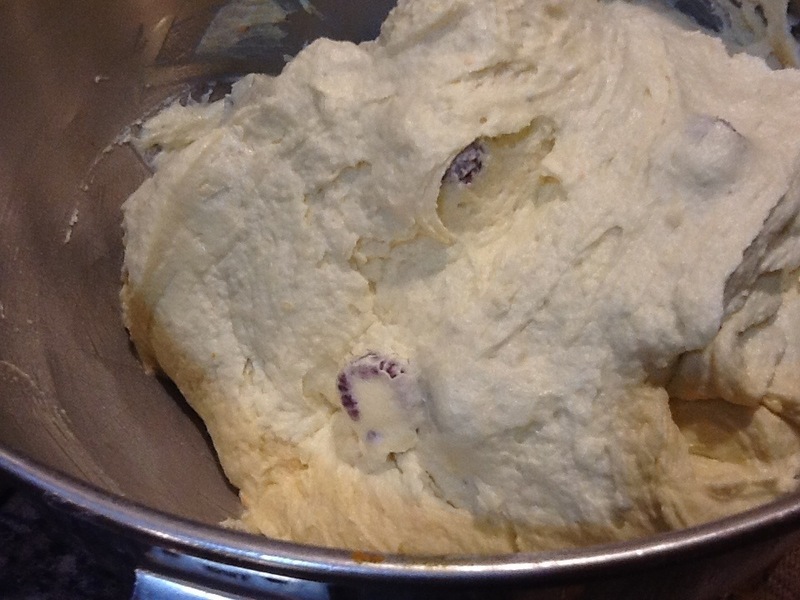 Do not over mix the batter or the cake will be tough and dry. In a small bowl gently toss the raspberries with 1 teaspoon flour. Then gently fold the floured berries into the batter. Pour batter into pan. Bake for 50-60 minutes for bundt pan or 75 minutes for loaf pan or until toothpick inserted into center comes out clean. Cool cake in pan for 5 minutes on wire rack. Unmold carefully and finish cooling before dusting with powdered sugar or a frosting. well another, I’ll be trying this one”, from your collection- thx, I think 😉 . Your style of writing, and your blog are a gift of the season that we get all year long. Lucky us, no yoke! Tahny i am not sure how Kent stays so skinny eating all of this good cooking… i would be large and in charge if I had constant access… mmm.